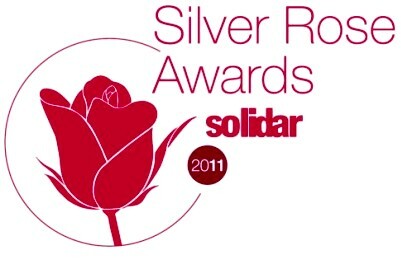 We are happy to share the news that Labour Education Foundation (LEF) has been honoured with an international award called the SILVER ROSE AWARD in international category for 2011 by the SOLIDAR (http://www.solidar.org/). SOLIDAR is a European network of 52 NGOs active in over 90 countries working to advance social justice in Europe and worldwide. On 13 January 2011, the jury of the SILVER ROSE AWARD, chaired by Véronique de Keyser – socialist MEP from Belgium met in the European Parliament in Strasbourg and decided to attribute the award to LEF. SOLIDAR’s Silver Rose Awards were launched in 2000 to help raise the profile of individuals and organisations whose struggles contribute greatly to social justice and equality throughout the world. Following organisations have received the award during the past period. It is first time that a Pakistani organisation has been granted this award. LEF was proposed by the Olaf Palme International Center, Stockholm, Sweden. Labour Education Foundation started its work in year 1993 with a modest three one-room schools for working children in Lahore, now has offices in Lahore, Karachi and Mardan. LEF is one of the main stream organisations working for workers’ rights. 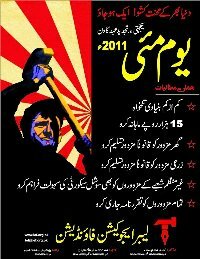 LEF has been busy in helping the workers and peasant movements in different parts of Pakistan. LEF is an active member and affiliated with International Federation of Workers’ Education Associations (IFWEA), Pakistan Social Forum, Joint Action Committee For Peoples Rights, Labour Relief Campaign, Home Net Pakistan, Peoples SAARC and South Asia Alliance For Poverty Eradication (SAAPE). The awards ceremony, held each year in the European Parliament, is an important event in the Brussels political calendar. The Silver Rose winners take centre stage at the awards ceremony to present their work and address the assembled audience. Over 500 people attended the 2010 ceremony including SOLIDAR’s member organisations, EU decision-makers, government representatives, civil society partners and the media. Speakers included Martin Schultz, President of the Socialist Group in the European Parliament; Lazlo Andor, Commissioner for Employment and Social Affairs; Véronique de Keyser, MEP; Marita Ulvskog, MEP; and Ana Maria Gomes MEP. This year, the ceremony will take place in the Members Dining Room in the European Parliament on 1 March 2011, hosted by Véronique de Keyser MEP. We thank all our supporters and member organisations that have made this possible for LEF.